Interview with Dr. Theodore Karasik – the Director of Research and Development at the Institute for Near East and Gulf Military Analysis (INEGMA) in Dubai. Particularly you have to first understand that the situation in Pakistan is rather icy politically, as well as on the religious scale. Pakistan now finds itself between a rock and a hard place when it comes to how it fits into the US and Western plans to halt fighting in Afghanistan as well as to get rid of terrorist events in the northwest frontier province. So, the Pakistani press is going to be very inflamed though, not only because of the NATO Summit, but also because of the sentencing of the doctor who outed Bin Laden for a sentence of 33 years. Apparently what happened was that the US had managed to find a Pakistani physician who was able to pinpoint the location of Bin Laden’s compound and as a result of the leakage of this information in the US and foreign press this doctor was arrested and tried very quickly in Pakistan and sentenced to 33 years in jail for giving up Bin Laden’s position. This is a political trial where Pakistanis want to make an example of this individual by arguing that he managed to fail the state by giving up the secret of where Bin Laden was hiding. Do you think that this case is going to further deteriorate the relations between the US and Pakistan or is it just a root in development? I think it is a bit of both. I think that will embarrass the US-Pakistani relations. I think that will be pressuring the United States of why did the US revealed the identity of this doctor. There is also a discussion about how this relationship with Pakistan and the United States will continue in terms of transport of nonlethal goods to Afghanistan. Now, talking about that issue. Do I get it right that the negotiations are still under way in Islamabad regarding the transportation routes agreement, the new one? Yes, the negotiations are still ongoing in Islamabad about transferring nonlethal goods into the Afghan theatre. And Pakistanis are using this episode to put political pressure on US to make concessions, particularly when it comes to military aid or paying of very high prices for use of this supply lines. Are we talking about concessions in terms of money or in some other aspects? It’s a combination of both money and political support for the Zardari Government. Is the US prepared to offer a political support for Zardari Government in the present circumstances? At this time I would say that the United States is going to play quite tough with Pakistan. Let’s face it – Pakistan is just barely above a failed state. And the US needs to make sure that Pakistan does not descend in the total chaos while at the same time applying pressure on Pakistan to guarantee that the state remains somewhat coherent together. The signals of the resumption of negotiations in Islamabad were generally seen as a sign that perhaps they could be ameliorating. And then came Zardari’s visit to Chicago. By the way, why would the Pakistanis be so disappointed with the results of his visit? What were their expectations? I think that they were expecting to be treated more as an equal and key to solving the Afghan problem as well as to part of trying to help with the withdrawal of troops from Afghanistan. But instead you had this political issues popup and then you had Zardari acting in a very strange way by missing the key events like the group of progress of all the leaders and so on. I think that they left Chicago messed. Does the United States want to ameliorate them and what needs to be done if there is a certain desire to make them better? Clearly a lot of problems need to be discussed and we need to find the right remedies that would help both countries work together in this difficult time. I think it is going to get more difficult as tensions build over what to do with Afghanistan and the withdrawal from Afghanistan of NATO forces. Pakistan has an important role to play in all this because of the supply routes as we talked about previously. So, I think we are going to be entering a period of more jostling for position, negotiation that could get quite ugly at some points. Full Comment’s Araminta Wordsworth brings you a daily round-up of quality punditry from across the globe. Today: One country’s freedom fighter is another nation’s traitor, from Benedict Arnold on down. That’s the fate of Shakil Afridi. The Pakistani doctor is now behind bars, serving a 33-year sentence for treason and excoriated by fellow citizens. His crime: helping the Americans track down the world’s most wanted terrorist, Osama bin Laden. The physician organized a fake vaccination drive in Abbottabad, a leafy town about an hour north of Islamabad where the al-Qaeda chief had been bunked down, apparently for years. Nurses went from house to house, taking DNA samples. Among the doors they knocked on was that of bin Laden. The sentence has been greeted by outrage in Washington, where relations with Islamabad are going from bad to worse. 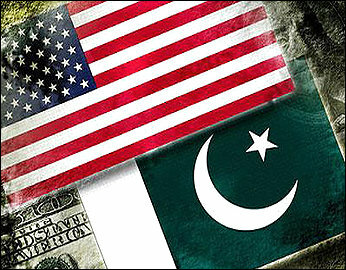 Americans believe they should at least get co-operation for the $1-billion in aid they dish out to Pakistan each year. Pakistanis meanwhile are affronted by perceived infringements of their sovereignty — chiefly the US Navy SEALs’ raid that killed bin Laden, which was carried out without notifying Islamabad; but also U.S. drone attacks, a friendly fire accident that killed about 30 government troops, and the CIA’s continuing clandestine operations. Reporting from Islamabad for The Guardian, Jon Boone explains the Pakistani position. For some Americans the Pakistani doctor who worked on a clandestine operation to track down one of the U.S.’s greatest enemies is a hero who should be given citizenship. But for Pakistan’s security agencies Dr. Shakil Afridi, a 48-year-old physician who once led campaigns to vaccinate children against polio on the Afghan frontier, is a villain. On Wednesday a representative of the country’s main spy agency said Afridi had got what he deserved when he was sentenced to 33 years in prison for conspiring against the state, for his role in trying to help the CIA track Osama bin Laden to his hideout in the garrison town of Abbottabad. American lawmakers quickly responded, hitting Pakistan in the pocketbook, writes David Rogers at Politico. Angered by the prosecution of a Pakistani doctor for helping the CIA locate Osama bin Laden, the Senate Appropriations Committee voted Thursday to cut another $33-million from an already much-reduced military aid package: $1-million for each of the physician’s 33-year prison sentence. The 30-0 roll call followed a brief but often bitter discussion that underscored the deteriorating relationship between Washington and the Islamabad government, which remains an important ally in the war in Afghanistan. “We need Pakistan. Pakistan needs us,” said Senator Lindsey Graham, who helped to craft the amendment. “But we don’t need a Pakistan that is just double dealing.” Judson Berger at Fox News believes the Obama administration was caught flat-footed by Afridi’s conviction. Former U.S. intelligence officers accused the Obama administration of dropping the ball … — with one openly challenging the State Department’s claim that it pressed his case “regularly” with Islamabad. Officials are now raising a slew of concerns with how the U.S. government has handled the case. Peter Brookes, a former analyst and adviser with several intelligence agencies who is now a senior fellow with the Heritage Foundation, told Fox News on Thursday that the U.S. should have had a plan to get him out of Pakistan immediately following the raid. But CNN’s national security contributor Fran Townsend told the program Starting Point Afridi probably thought he was “safe enough” in Pakistan and didn’t want to leave, especially without his extended family. The United States is working to secure Afridi’s release, and Townsend confirms that [U.S. Secretary of ] State Hillary Clinton has intervened on the doctor’s behalf. Although she believes that Afridi may face some jail time, Townsend says that she ultimately thinks he’ll be released through negations between the U.S. and Pakistan. Her view of Afridi as a bargaining chip is confirmed by the BBC’s M. Ilyas Khan, who explains the significance of trying Afridi under Khyber Pakhtunkhwa tribal law . A trial by a regular court could have gone on for months, involving a proper indictment, witnesses and lawyers, all under the glare of television cameras. They also point to an enduring feeling in Pakistan that at some point it has to mend fences with its Western allies, in which case the release of r Afridi could be one of the bargaining chips. As and when that happens, the governor of Khyber Pakhtunkhwa province can legally order his release. Pakistanis for Peace Editor’s Note- The jailing of Dr Afridi is not only another stain in the US-Pakistani relations, such as the hiding of OBL, but rather it is another carriage of injustice in a nation that is guilty of it daily with its population. From the lack of providing rights and freedoms to many of its citizens to the downright shameful behavior towards its religious minorities and women, it regularly is guilty of miscarriage of justice. Please don’t even get us started on failing miserably to provide basics such as power, clean water, security from home grown terrorists or even a remotely functioning democracy. This action, as well as others in the last thirteen months illustrate, in our view, simply no reason other than, we are sad to say, that Pakistan has essentially told the Americans that we are not with you. 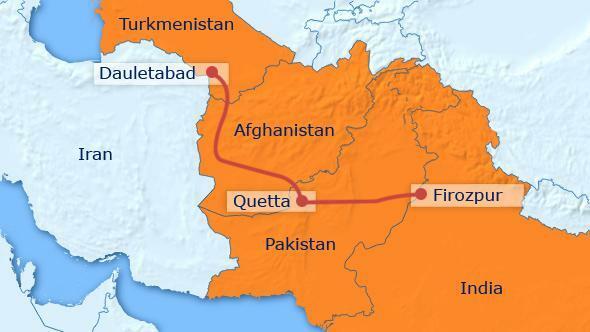 Officials from India and Pakistan have announced they are moving closer to inking a deal to import gas from Turkmenistan via a pipeline through Afghanistan. The 1,700-kilometer “TAPI” duct will transport over 30 billion cubic meters of gas annually from fields in Dauletabad in southeastern Turkmenistan. When the four countries signed a framework agreement back in 2008, the Asian Development Bank estimated the cost of the TAPI pipeline project at around $7.6 billion. After the talks in New Delhi, the Indian oil minister emphasized that the pipeline would help address the energy needs of the region. Reddy also clarified that security concerns were discussed with Afghan officials, who themselves sought to provide reassurance that necessary measures would be taken to protect the TAPI project. Improving cooperation between the nuclear armed and traditionally hostile neighbors is seen as a positive development towards establishing long term stability in South Asia. Pakistan gave India a “Most Favored Nation” trading status when the countries’ commerce secretaries met in New Delhi in November last year to discuss energy and bilateral trade. Indian commerce chief Rahul Khullar expressed his desire to boost bilateral trade to $6 billion within the next three years. Currently, total trade amounts to $2.7 billion. Reddy said that Pakistan had pledged to also consider a proposal to import Indian petroleum products, highlighting the cost advantages for Pakistan. India, meanwhile, offered electricity to Pakistan through its power plants in Punjab and Gujrat. The Indian oil minister went on to express disappointment over a failed Iran-Pakistan-India gas pipeline project. With the US leaving no stone unturned in trying to corner Iran over its nuclear ambitions, any possibility of India, Afghanistan or Pakistan going against the Obama administration is somewhat remote. India imports 12 to 14 percent of its oil from Iran, making the Islamic Republic India’s second largest source of oil after Saudi Arabia. There was significant domestic pressure in India as the analysts and masses called for a stern stand against the US in determining trade relations with Iran. With other regional countries, including China, also refusing to follow US directions, India is still continuing with the import of oil from Iran. In this regard, Reddy said that New Delhi would continue importing oil from Iran and was not bound by new sanctions imposed by the European Union on the Islamic Republic earlier this week. “We, as a member of the UN, are obliged to follow UN sanctions. Other sanctions imposed by big blocs of countries, we can have some freedom there,” he added further. Improving relations and cooperation in the energy sector between India and Pakistan will go a long way to establishing harmony and stability in the region. Pakistan is experiencing a severe energy crisis whilst India needs to feed its rapidly developing economy. Mutual dependency and cooperation in this sector with projects such as the TAPI pipeline can also ensure smoother political ties. Pakistanis for Peace Editor’s Note– A Peace pipe was often used between the Native American tribes when they ended their wars and called a truce. A different sort of peace pipe between Turkmenistan and India via Pakistan can do great wonders for the bilateral relations of the two feuding neighbors and must be encouraged to fruition. The U.S. faces the challenge of quickly establishing alternative facilities from which to launch drone aircraft inside Afghanistan after Pakistan ordered U.S. personnel and hardware out of a base believed to have been used in the past for CIA drones, two senior Western defense officials tell CBS News. Concern mounted Wednesday over the future of Pakistan’s clandestine support for Washington’s use of drones after the country’s defense minister announced Pakistan had told the U.S. to vacate the small Shamsi air base in the southwestern Baluchistan province. “U.S. personnel will not be allowed to use the Shamsi air base,” a senior Pakistani government official added to CBS News. The news comes as the Obama administration details its new strategy for combating extremism across the globe — a strategy which shifts the focus sharply away from the large-scale ground operations espoused by President George W. Bush, to smaller “surgical” strikes, like drone attacks. The official refused to specify the types of U.S. activities that have now been ceased at Shamsi. Pakistan has always publicly criticized the U.S. for carrying out attacks using pilotless drones, and has never acknowledged that it cooperates with Washington on the use of such aircraft. The drones have become widely unpopular across Pakistan after some of the attacks reportedly resulted in civilian casualties, including women and children. Relations between the U.S. and Pakistan have remained frosty since U.S. Navy SEALs killed Osama bin Laden in the country’s northern city of Abbottabad. That attack was undertaken without the U.S. offering advanced information to Pakistan, out of fear that militant sympathizers in Pakistan’s intelligence and security establishment might have alerted al Qaeda or the Taliban. The 2nd May operation has been followed by a hardening of attitude by Pakistan’s influential military, which claims the attack violated Pakistan’s sovereignty. In reaction to the raid, Pakistan has already ordered more than 150 U.S. military trainers to leave the country. In a clear sign of Pakistan’s deepening mistrust of the United States, Islamabad has told the Obama administration to reduce the number of U.S. troops in the country and has moved to close three military intelligence liaison centers, setting back American efforts to eliminate insurgent sanctuaries in largely lawless areas bordering Afghanistan, U.S. officials said. The liaison centers, also known as intelligence fusion cells, in Quetta and Peshawar are the main conduits for the United States to share satellite imagery, target data and other intelligence with Pakistani ground forces conducting operations against militants, including Taliban fighters who slip into Afghanistan to attack U.S. and allied forces. U.S. special operations units have relied on the three facilities, two in Peshawar and one in Quetta, to help coordinate operations on both sides of the border, senior U.S. officials said. The U.S. units are now being withdrawn from all three sites, the officials said, and the centers are being shut down. It wasn’t immediately clear whether the steps are permanent. Adm. Mike Mullen, chairman of the Joint Chiefs of Staff, flew Thursday to Pakistan for a hastily arranged meeting with Gen. Ashfaq Kayani, the head of the Pakistani army. A Pentagon official said the two will probably discuss Pakistan’s demands for a smaller U.S. military presence. The closures, which have not been publicly announced, remove U.S. advisors from the front lines of the war against militant groups in Pakistan. U.S. Army Gen. David Petraeus spearheaded the effort to increase the U.S. presence in the border areas two years ago out of frustration with Pakistan’s failure to control the militants. 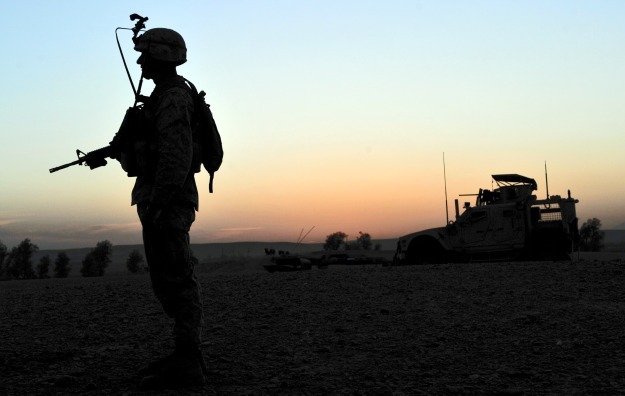 The collapse of the effort will probably hinder the Obama administration’s efforts to gradually push Pakistan toward conducting ground operations against insurgent strongholds in North Waziristan and elsewhere, U.S. officials said. 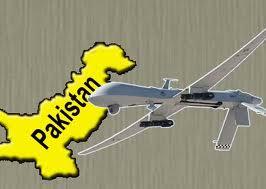 The Pakistani decision has not affected the CIA’s ability to launch missiles from drone aircraft in northwest Pakistan. Those flights, which the CIA has never publicly acknowledged, receive assistance from Pakistan through intelligence channels separate from the fusion centers, current and former officials said. The move to close the three facilities, plus a recent written demand by Pakistan to reduce the number of U.S. military personnel in the country from approximately 200, signals mounting anger in Pakistan over a series of incidents. 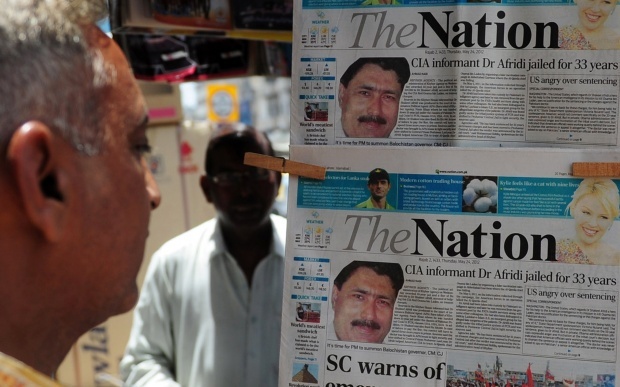 In January, Raymond Davis, a CIA contractor, shot dead two men in Lahore who he said were attempting to rob him. He was arrested on charges of murder but was released and left the country in mid-March, prompting violent protests in several cities. Soon after, Pakistan ordered several dozen U.S. special operations trainers to leave the country in what U.S. officials believe was retaliation for the Davis case, according to a senior U.S. military officer. Then, on May 2, five U.S. helicopters secretly entered Pakistani airspace and a team of U.S. Navy SEALs killed Osama bin Laden and four others at a compound in Abbottabad, a military garrison city near the capital, Islamabad. 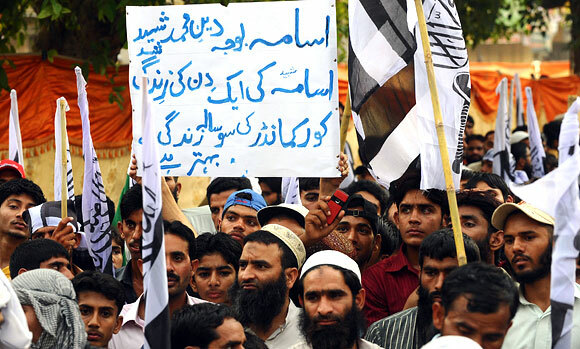 The raid deeply embarrassed Pakistan’s military and inflamed anti-U.S. sentiment across the country. Javed Hussain, a retired Pakistani brigadier, blamed the decision to close the three intelligence centers on the mistrust that has plagued U.S.-Pakistani relations in recent months. Washington’s decision to carry out the raid against Bin Laden without informing Pakistan’s security establishment brought that mistrust to a new low, he said. The two intelligence centers in Peshawar were set up in 2009, one with the Pakistani army’s 11th Corps and the other with the paramilitary Frontier Corps, which are both headquartered in the city, capital of the troubled Khyber-Pakhtunkhwa province. The third fusion cell was opened last year at the Pakistani army’s 12th Corps headquarters in Quetta, a city long used by Taliban fighters to mount attacks in Afghanistan’s southern provinces. U.S. troops have staffed the Quetta facility only intermittently, U.S. officials said. The closures have effectively stopped the U.S. training of the Frontier Corps, a force that American officials had hoped could help halt infiltration of Taliban and other militants into Afghanistan, a senior U.S. military officer said. The Frontier Corps’ facility in Peshawar, staffed by a handful of U.S. special operations personnel, was located at Bala Hissar, an old fort, according to a classified U.S. Embassy cable from 2009 that was recently made public by WikiLeaks. The cable, which was first disclosed by Pakistan’s Dawn newspaper, hinted at U.S. hopes that special operations teams would be allowed to join the paramilitary units and the Special Services Group, a Pakistani army commando unit, in operations against militants. Another U.S. Embassy cable said that a “U.S. Special Operations Command Force” was providing the Frontier Corps with “imagery, target packages and operational planning” in a campaign against Taliban insurgents in Lower Dir, an area of northwest Pakistan considered an insurgent stronghold. The intelligence fusion cell in Quetta was not nearly as active as the facilities in Peshawar, current and former U.S. officials said. 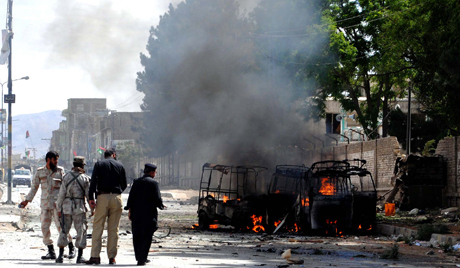 Pakistan has long resisted pressure to intensify operations against Taliban militants in Quetta. The city, capital of Baluchistan, is outside the tribal area, which explains Pakistan’s reluctance to permit a permanent U.S. military presence, a U.S. official said. Despite the ongoing tensions, Pakistani authorities have agreed to allow a CIA team to inspect the compound where Bin Laden was killed, according to a U.S. official. The Pakistanis have signaled they will allow U.S. intelligence analysts to examine documents and other material that Pakistani authorities found at the site. A U.S. official briefed on intelligence matters said the reams of documents and electronic data that the SEALs seized at the compound have sparked “dozens” of intelligence investigations and have produced new insights into schisms among Al Qaeda leaders. WASHINGTON – The current crisis in US/Pakistan relations is not the first – but it is the most difficult one since 9/11, and it could easily be aggravated further by the intelligence arising from the raid on Osama Bin Laden’s compound. For this reason, Washington insiders are not so sure that diplomatic moves to ease the problem will succeed. Senator John Kerry has just been in Islamabad asking for “action not words” from the Pakistani authorities. He says he has gained some agreement for practical steps but, apart from gaining the return of remnants of the US helicopter that was destroyed at the compound, has not yet specified what these might be. This morning he and other members of the US Senate Committee on Foreign Relations will be holding hearings on Pakistan, including the question of how the billions given in aid could be used more effectively to buy the kind of counter terrorist cooperation that the Americans are after. Juan Zarate, counter terrorist adviser to President George W Bush, argues that the kind of benchmarks that congressmen have advocated in the past for linking aid to performance on specific actions against militant groups could prove counter-productive in the short term because the Pakistanis consider this “humiliating”. He poses the further question, “what happens tomorrow if we have to go after Ayman al-Zawahiri?”, referring to the former Al Qaeda number two and presumed leader after Bin Laden’s death. The question of what leads are thrown up by the intelligence trove from the raided Abottabad compound is now in itself a key factor in whether Mr Kerry and members of President Barack Obama’s administration are able to soothe the relationship. Myriad questions arise from the material seized on flash drives and laptops. Pakistani officials insist there was no contact between their Inter-Services Intelligence (ISI) and Bin Laden – but what about possible ties with the courier who owned the house and was the key figure in sheltering him? Will phone numbers leading to ISI officials be found in Bin Laden’s effects? Will there be intelligence that allows the CIA to quickly pinpoint Dr al-Zawahiri or other key figures who might now take control of Al Qaeda? John McLaughlin, deputy director of the CIA until 2004, argues that even in this current difficult moment for US/Pakistan relations, America will reserve the right to act unilaterally against terrorist targets in Pakistan. He believes though that ties can slowly be re-built with Pakistan, despite the fact that the raid, mounted without their leaders’ foreknowledge, gave them their “biggest shock for a generation”. At previous moments of tension between the two countries, accommodations have been found. Intelligence about Al Qaeda suspects has flowed or the army has been sent in to one of the restive tribal areas on the Pakistan border. The US has signed off on new aid payments. What tends to happen though is that within months, the Americans again accuse the Pakistanis of foot dragging in the fight against militancy, and Islamabad for its part counters with arguments that the US routinely violates its sovereignty. The tangled reality of the situation is made worse by the fact that Pakistani ministers, mindful of anti-American sentiment in their country, will often not admit publicly to their agreement to drone strikes or other steps. Many people I have spoken to here compare the relationship to a dysfunctional marriage in which both sides need one another but find the reality of daily life increasingly unbearable. There are those who see ways though in which the two countries might navigate their way through the perfect storm of recrimination and resentment that the Bin Laden operation has produced. Juan Zarate and some others believe that if the materials seized in the raid produce some nugget of intelligence that leads to the discovery of Dr al-Zawahiri or other key figures, the US may chose to trust the Pakistanis with this knowledge, and make them partners in acting upon it. If the exploitation of the intelligence went wrong and a leak was suspected the US could use this to place further pressure on Pakistani ministers. But if it all went well, trust might be re-built. The problem is though that there are many within the secret side of US counter terrorism who, because of the way that Osama Bin Laden hid for years where he did, are no longer prepared to take that risk. Making it clear that Pakistan needs to do “more” to deal with the safe havens of terrorists on its soil, US AfPak envoy Marc Grossman on Friday said it will help in bringing peace to Afghanistan. On his maiden trip to New Delhi after being appointed in February as US special representative to Afghanistan-Pakistan, Grossman called on foreign secretary Nirupama Rao and held extensive consultations on the situation in the region. “There is always more to do and we are encouraging Pakistan to do everything possible to deal with the safe havens…..which will also play a big role in bringing peace to Afghanistan,” Grossman told reporters after his meeting with Rao which lasted for nearly one-and-a-half hours. Appointed after the sudden death of Richard Holbrooke, Grossman since he was new to the job, it was important for him to come to India and take advantage of the expertise and experience of the “people here”. Apart from Rao, he will also be meeting other senior officials, including National Security Advisor (NSA) Shivshankar Menon before resuming his journey, which will take him to Kabul, Islamabad and Riyadh. Giving some details of the meeting with Rao, the US envoy said they discussed the Indo-US global partnership, its future and their joint projects in Afghanistan. “We have a lot of work to do together in Afghanistan and some of that work is very important…,” he said. Recalling US Secretary of State Hillary Clinton’s February speech at the Asia Society, Grossman said the military surge in Afghanistan has been effective and Taliban has been degraded but his worry was that being unable to do much militarily, they might resort to terrorist attacks targeting civilians and Afghan police.